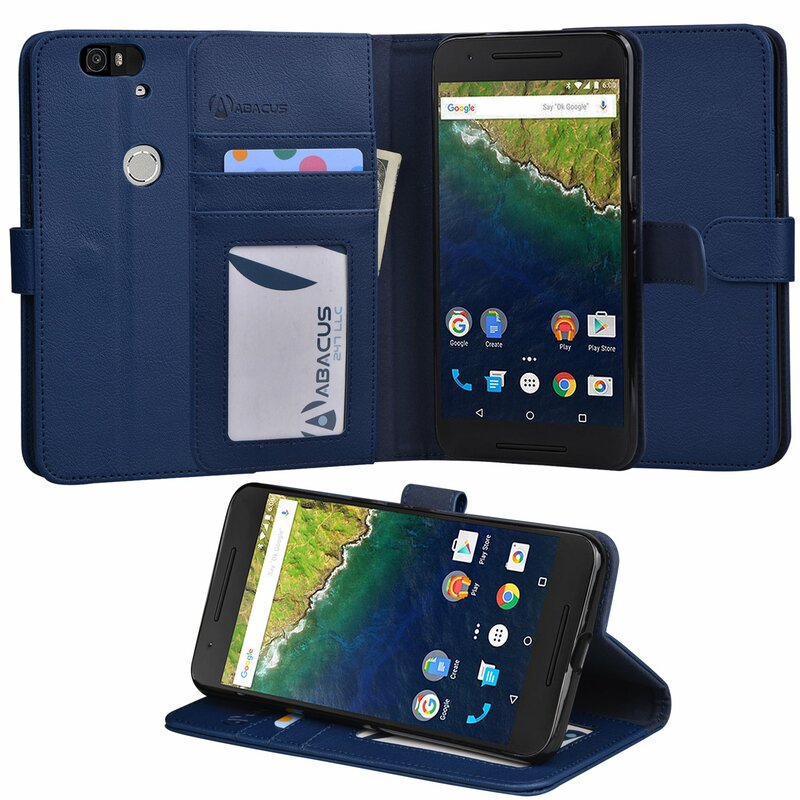 Home › Electronics › Nexus 6P Case Abacus24-7 Google Nexus 6P Wallet Case Leather Flip Cover Card ..
Nexus 6P Case Abacus24-7 Google Nexus 6P Wallet Case Leather Flip Cover Card ..
Color: Blue Synthetic Leather Folio Wallet & Case for Huawei Nexus 6P - Features : - Protective case, designed with flexibility in mind. Serves as a case, a wallet & a stand for your Nexus 6P. - Internal cradle for your Nexus 6P is built to house it securely. The device snaps easily in and out of the cradle as it would in any protective skin. - Invisible magnetic flap closure further ensures your device's safety, while staying out of sight & keeping the lines of the case elegant. - Our Wallet Case offers 3 slots for Credit and/or other cards and a larger slot underneath for cash. - The Folio Case is ready for the occasional movie watching. It folds easily into a stand. - Use your Huawei Nexus 6P as if it wasn't in a case & don't worry about damaging it. All the functionality of your device is and unobstructed while the case is keeping it secure. - Specifications: - Exterior made from premium quality artificial leather which feels comfortable in your hand but is damage resistant. - Soft interior ensures the case itself will not scratch your device, even of you press on it. - Device housing made from quality plastic material will not flex or let your device slide out.